Dracula Zipper Pouch: Classic Horror Movies, Brides of Dracula, Dracula's Daughter. Vampire Movies, Vampire Zipper Pouch, Vampire Fabric. Hello! Thank you for visiting my shop. <3 Please know that this item was handmade by me on my sewing machine (not in a factory!). This Dracula pouch is one of a kind and I made it using fabric scraps! 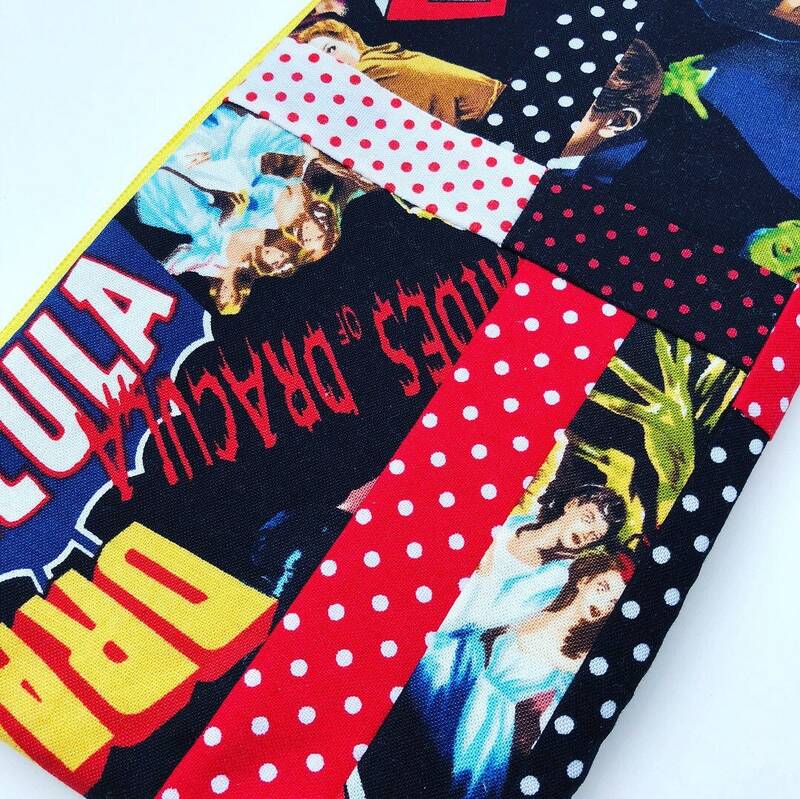 I created this zipper pouch using fabric featuring the classic Dracula movies, along with matching polka dot fabric scraps. I gave the pouch a yellow zipper and a solid red lining. Horror Movie Monsters Tote Bag: Dracula, Frankenstein, The Mummy.